If you are looking for peace and tranquility, this is the home for you. 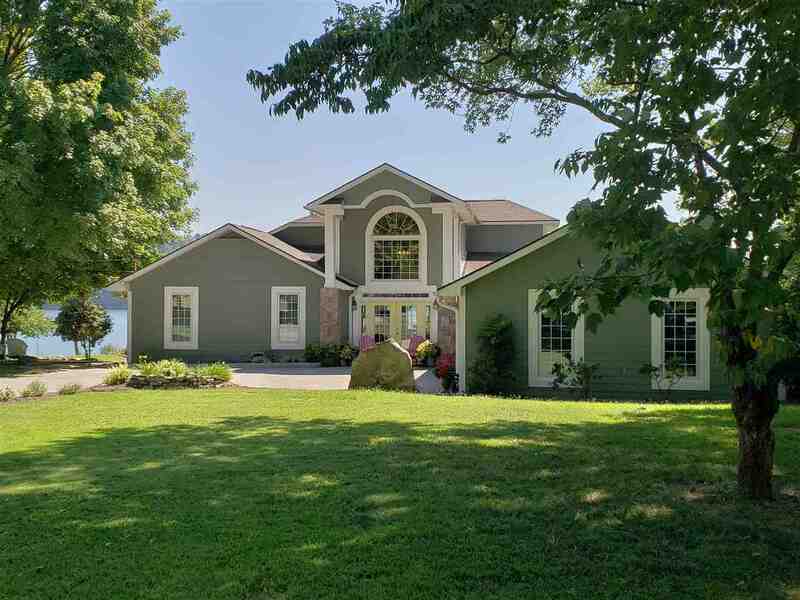 This beautiful custom home sits on a level, main channel lake front lot with beautiful mountain views, with lots of composite decking to enjoy the peacefulness and even a gazebo with a river rock water feature, deck overlooking the lake that steps down to the dock configure from EZ Dock System with 2 jet ski ports. To the side of the home under a large shade tree overlooking the picturesque setting is an outdoor fireplace and sitting area. If you love to cook, you&apos;ll enjoy the commercial grade gas convection stove/ovens. There are 2 master bedrooms (one on each level). The master on the main has large stone fireplace. Both of these bedrooms have decks overlooking Douglas Lake. There are 2 more rooms that are set up as bedrooms. There is currently a second den/living room that is being used as an office. So, there is a lot of versatility with this home. There are multiple areas for indoor and outdoor entertaining with all having views of the lake and mountains. Call an agent today to schedule your private showing.